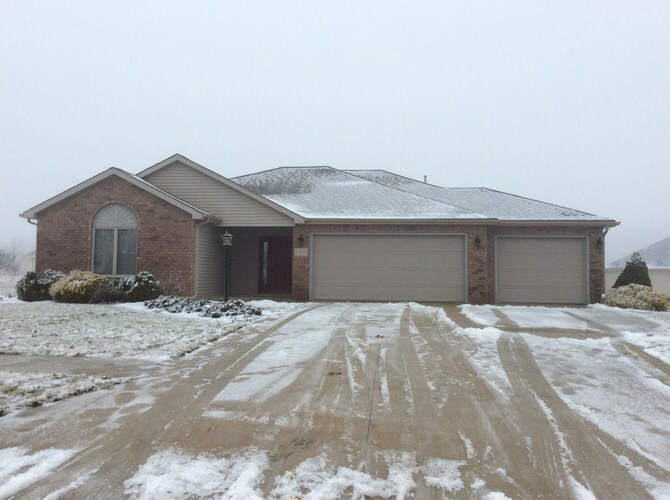 Gorgeous, Move-In Ready One Story Home in Deer Chase! Home had 3 bedrooms, 2 full baths, Open Concept Kitchen/Dining Room/Living Room. Kitchen is spacious with beautiful cabinetry. Patio off of Kitchen makes it great for entertaining. Vaulted Ceilings & Tray Ceiling in Master make this home spacious! Master has en-suite along with 2 closets inc. Walk-In! 3rd bedroom could be a nice home office. Home has 3-car attached garage with plenty of room for a work bench. Beautifully landscaped and well-maintained, Don't miss this one!! Directions:From US 30 take W Lincolnway. Turn west onto Depoy Dr. Next turn left onto Westchester Dr. then take the first right onto Stone Ridge Dr. House will be on the left.